September is an interesting time in Eastern North Carolina. My brain is programmed to think: pumpkin, cinnamon, stews, chili, football. But it is 90 degrees outside still. We tailgated last weekend for the East Carolina football game and it was scorching outside. It does not feel like fall to me. Fall is definitely my favorite time of the year in Kansas City. I am so excited to say that I will be waiting for the cool chill in the air next year in September in Kansas City because we are moving back next summer. I am looking forward to the move but I have to say that leaving Eastern NC does break may heart a little bit. While the halloween and pumpkin extravaganza has already popped up in all the stores, I am laying at the pool… it is my first day off in 12 and I am long overdue for a blog post. 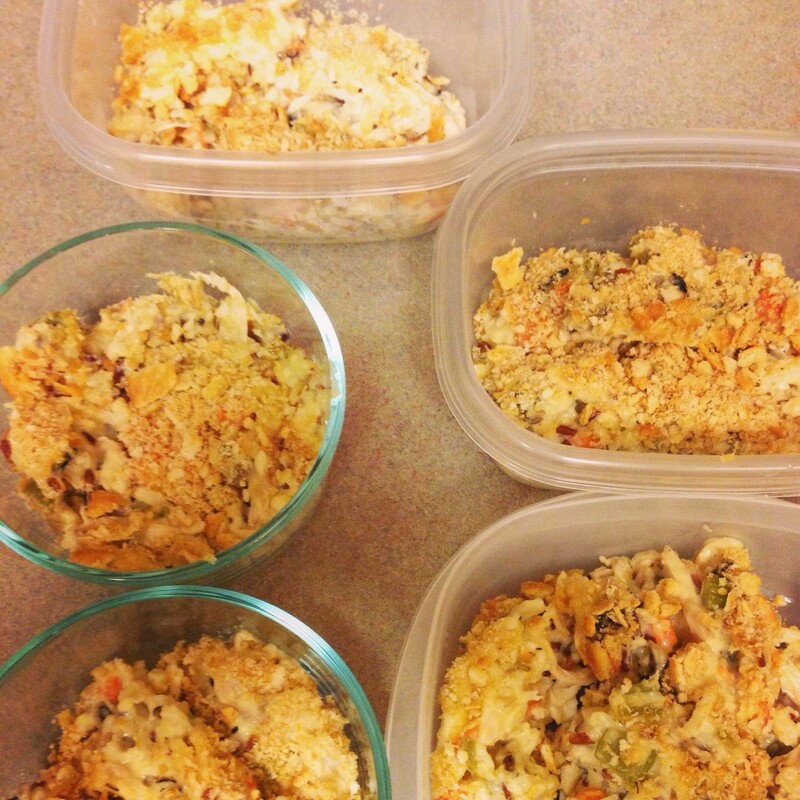 I knew I was going to be busy this rotation so I made a bunch of freezer meals in advance. 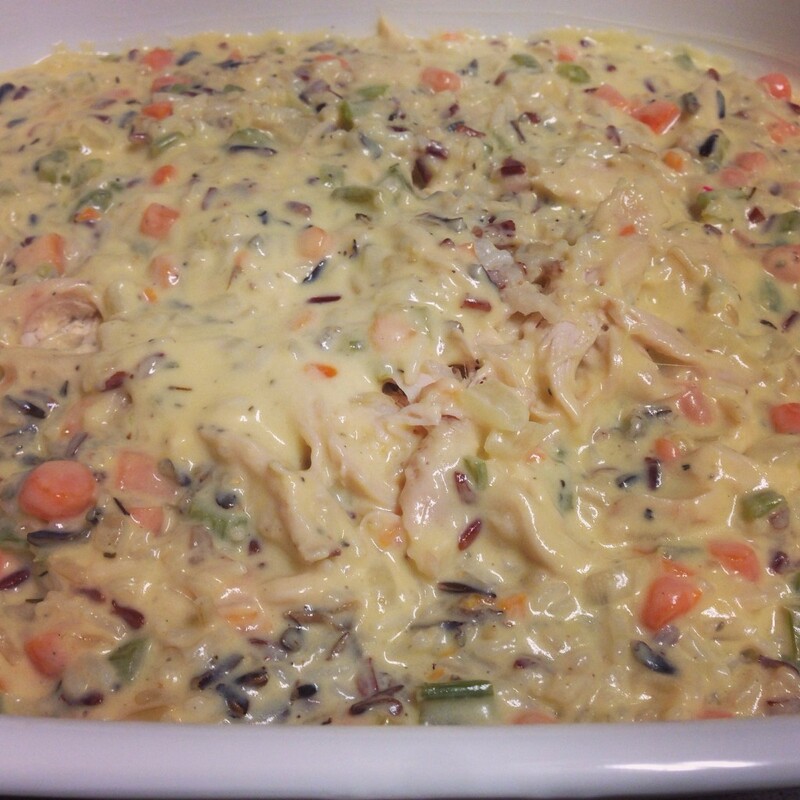 One of which was this delish casserole from The New Midwestern Table. I actually cheated when I made this before and used a rotisserie chicken (because they were super on sale!) and it was wonderful. 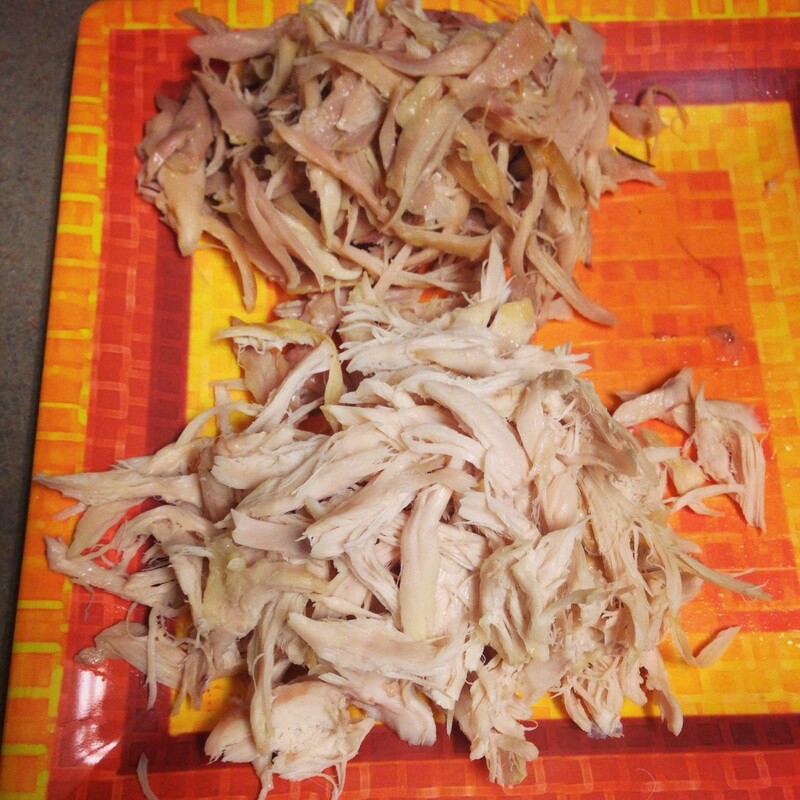 If you have the time, cook the chicken and you will have insanely flavorful leftover chicken broth for your next recipe (see here for how to cook the chicken). This hotdish freezes beautifully. If you are going to portion this out and freeze, leave out the ritz crackers. Sprinkle them on before you plan to reheat the hotdish. The original recipe does not contain carrots but I had an abundance of carrots in my fridge, so I added them. 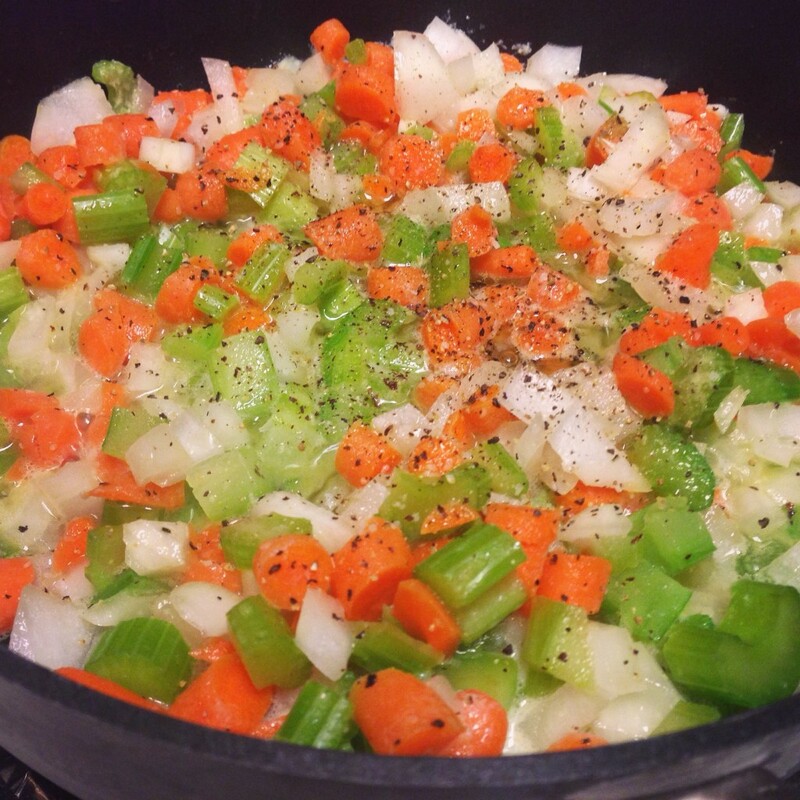 I have also used onions instead of leeks in this dish in the past just because they were on hand. Preheat oven to 325 degrees. Rinse the wild rice under cold water thoroughly and drain. Place in small saucepan. Cover with 1 1/4 cups water. Add a pinch of salt and the bay leaf. Bring to a simmer, then cover the pan and reduce the heat to low. Steam for 20-25 minutes until the rice is fluffy. Remove the bay leaf. While the rice is cooking, Heat the butter in a large skillet over medium. 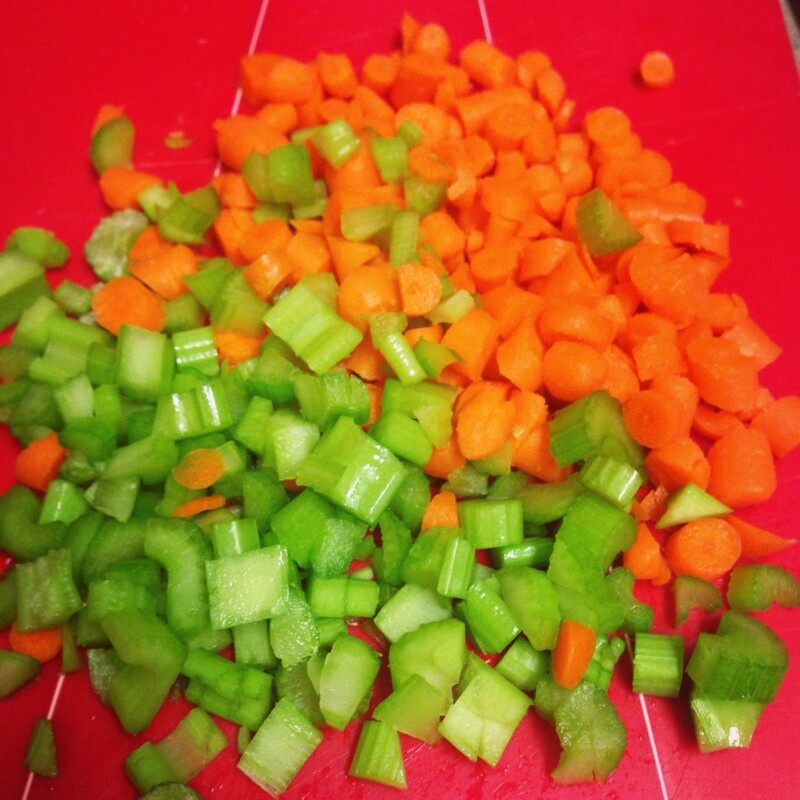 Add the leaks, carrots and celery, season with 1/4 tsp salt and 1/4 tsp pepper. Cook until soft, about 10 minutes. Add the flour to the vegetables and cook for 1 minute. Pour in the milk and bring to a simmer, whisking to prevent lumps. Add in the cream, chicken stock, thyme, nutmeg, 1/2 tsp salt, 1/2 tsp pepper. Simmer for 5 minutes. Toss this with the chicken, wild rice, and half the cheese. Crush the ritz crackers in a ziploc bag with 1/2 tsp black pepper. Grease a 9 x 13 baking pan with softened butter. Pour the hotdish mixture into the pan and top with the remaining cheese. 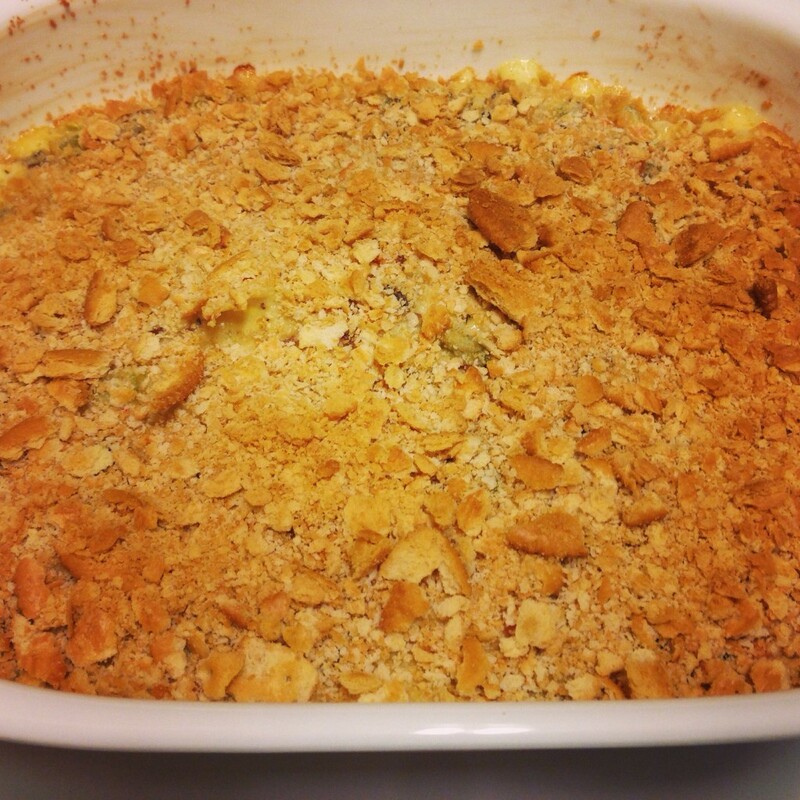 Bake for 25 minutes, remove the hotdish, and sprinkle with the ritz crackers. Bake for an additional 25 minutes. Adapted from The New Midwestern Table.